When you need help from the best garage door repair company in Euless, Texas, give Action Door Repair a call. As a company with more than 30 years of experience providing high-quality garage door repairs and installations, we have helped many residential and commercial customers in and around Euless. If your garage door needs new parts, we have a selection of top-of-the-line cables, springs, rollers and more for all kinds of makes and models. Our technicians will ensure that your garage door is able to open and close as safely and as smoothly as possible. 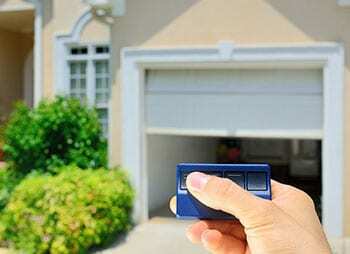 If you’re looking for garage door service in Euless, and the best in garage door types, contact Action Garage Door. Not only do we provide garage door repair in Euless, but we also offer maintenance programs, replacement, and even parts for repairs. When you want the best in garage door repair and other services, you have to turn to the best. For years, we have been providing residents all over Euless with the garage door service they need to have their garages in the best working order. As a garage door repair company that is committed to customer satisfaction, nobody beats Action Garage Door. Our family-owned business has been satisfying customers for 30 years and we are waiting to help you find the services you need for your garage door in Euless. You can count on our products to stand up to the weather, and you can rest assured all of our work is performed in total compliance with all applicable local codes. At Action Garage Door, we understand you have many needs when it comes to garage door service. For this reason, our garage door service goes way beyond simple repairs. We can help if your door is off track, you need work performed on your garage door opener, a cable is loose or you have any other type of problem. 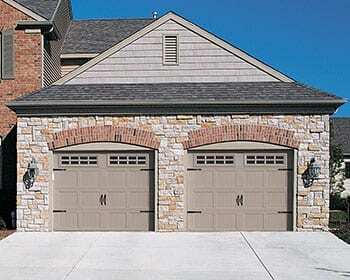 A new garage door can add instant value to your home by enhancing its appearance. When your garage door is showing its age, it’s time to invest in a new one. 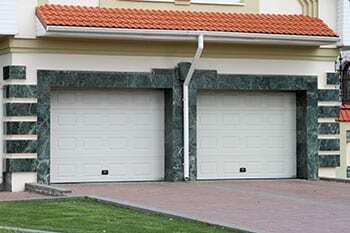 Action Door Garage has a great selection of garage doors for residences and businesses. The collections we offer for Euless homeowners and business owners include the Oak Summit collection, the Heritage collection, the Overhead Collection and the Olympus collection. When you call us, we’ll help you pick out a new garage door based on your budget, preferred design and other factors. Our team of technicians will also install your garage door with the utmost care to ensure that it operates safely. In addition to the types of doors we install, we will help you design a custom garage door so you can get the door that goes perfectly with your home or office. Whether you want to match the exterior just perfectly, or if you are picky about windows, a fully customized garage door is just around the corner. Euless sits roughly halfway between Dallas and Fort Worth in the Mid-Cities region. The city is about 19 miles west of Dallas and about 17 miles east of Fort Worth. 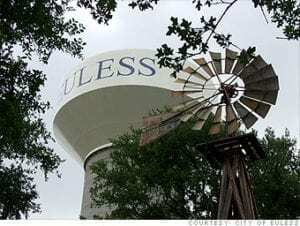 With a population of roughly 51,277, Euless offers a cost of living that is the same as the national average, which makes it an affordable area to live in. The average income per capita is $29,651, while the average household income is $54,619. The top employers in Euless are Hurst-Euless-Bedford Independent School District, LSG Sky Chefs, Inc. and the City of Euless. Other employers include Beall Concrete, Autogrill Group Inc. and Life Outreach International. Average home prices in Euless are $146,600, which is slightly higher than the Texas average of $131,400 and lower than the U.S. average of $175,500. Euless provides residents with convenient ways to get to Fort Worth and Dallas, but the city also has its own amenities to offer. Residents in Euless can become active community members by taking advantage of several volunteer opportunities that are available. These include helping out with special events and assisting the parks and recreation department with keeping Euless clean. 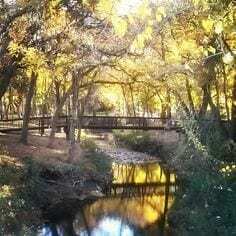 Those who want to relax and have fun while spending time with their fellow residents can make plans to attend the city’s special events, which include the Arbor Daze Festival, Movie in the Park, Masterworks Concerts and the Valentine’s Daddy/Daughter Dance. There are also a number of community classes available through the parks and recreation department, such as aquatics and athletics, as well as fitness classes. These classes and programs are available for adults and kids in Euless. Those who visit Euless will find that the city has many places to go and things to do within its borders. Hockey enthusiasts and ice skaters alike can have some fun at Dr Pepper Stars Center. The arena also hosts birthday parties broomball and other special events throughout the year. Baseball fans can watch games at The Parks at Texas Star or take a few swings in the facility’s batting cages. The Parks at Texas Star also features a playground to keep the kids busy. Visitors who love history will want to head to historic Heritage Park, which features historical buildings, such as the Himes Log Cabin and Fuller House. The Euless Heritage Museum is located right next to the park, providing history buffs with even more information on the city’s origins. Heritage Park also has walking trails and a playground. Families who visit Euless can spend a hot afternoon at Euless Family Life Aquatic Park, which includes a 545-foot lazy river ride, water slides, flume slides and other fun aquatic features. Dining and shopping in Euless are fairly limited. There are several chain restaurants and stores located in the city, but it’s easy enough for visitors to get to downtown Dallas for a wider range of shopping and dining options. To get started with your garage door repair, installation, or replacement, contact Action Garage Door in Euless today and let’s talk about the options available from the garage door repair company that has been caring for customers since 1984. Ryan did an excellent job as always. Identified the issue immediately and serviced with a quick, professional, and quality repair at a fair price. Highly recommended. Called Action this morning and Ryan was at my home by 2:40 to repair! Ryan explains the issue and repairs easily. I definitely appreciate his expertise! First time customer and very satisfied. No BS trying to upsell other services!! I will definitely refer to family & friends!! Called Action door since the torsion spring broke. They gave me the lowest quote compared to 7 other companies. Ryan B was very knowledgeable and friendly when he arrived to service it. He showed us another issue that saved us from investing in a new garage door. Took care of the other issue as well and quick. I’m so glad I selected this company. Great service , good price and very professional! Thank you Ryan! Fast, efficient and personable. Ryan came out first thing the day after calling (i called after 6pm! And they were still answering phones )and had me fixed up very quickly! Highly recommend! Brian was very efficient and helpful in explaining my problem and what I needed.